Burrhus Frederic Skinner was an American psychologist, author and inventor who is most well known for developing the theory of behaviorism. Skinner was born in March 1904 to William and Grace Skinner in a small town in Pennsylvania. He was a keen and intelligent child and often tried to build new devices at home. He had a younger brother named Edward who died of a cerebral hemorrhage at the age of sixteen. He had a good family life and was a capable student. After completing high school, he enrolled at Hamilton College, New York where he aspired to be a writer. At college he wrote for the school paper and joined a fraternity but was never very popular due to his intellectual attitude, which others often found disconcerting. He was an atheist, while Hamilton College was a religious institution with daily chapel service for students. While working at the school newspaper, he openly criticized religion, college policies and even the fraternity he was a part of. After completing his B.A. in English literature in 1926, Skinner unsuccessfully tried his hand at being a writer for a couple of years. It was then that he developed an interest in psychology after encountering the works of psychologists such as John B. Watson and Ivan Pavlov. He enrolled at Harvard University to study psychology and received his Ph.D. in 1931. At Harvard he began research into what would later become his most famous theory called behaviorism. His purpose was to study and measure behavior in an objective way. To this end, he built an apparatus called a “Skinner Box” to study animals interacting with their environment. He first studied the behavior of rats by installing a lever in the box which would release a pellet of food when pressed. The rat would learn that repeatedly pressing the lever would release a pellet of food. He conducted similar experiments with pigeons who would receive food by pecking at a disc located inside the box. These experiments led him to conclude that reinforcement was a major factor in learning any form of behavior and it has come to be known as the theory of behaviorism. These results were published in his 1938 book titled “The Behavior of Organisms“. Skinner built a crib for his second daughter Deborah which was enclosed and temperature controlled. It was meant to be a safe environment for the child so that she could be comfortable and sleep easily without feeling too hot or too cold and also help in preventing injuries because it had no slats in the sides. This was widely criticized for being a cruel experiment and people even called it a baby cage. There was much controversy regarding it, and some companies tried to put it into production but the endeavor was unsuccessful. 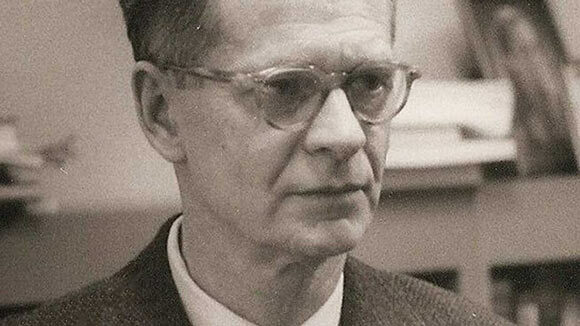 In 1945, Skinner joined Indiana University as the head of the psychology department but two years later he returned to Harvard as a lecturer and later a professor, and stayed there till the end of his career. He wrote a fictional novel titled “Walden Two” about a utopian society where people learned to be good citizens based on a system of rewards and punishments. His novel was criticized by his colleagues, as were some of his other books such as “Beyond Freedom and Dignity” published in 1971, in which he supposedly implied that humans had no free will. He also wrote a series of autobiographies about his life and remained active in the field of behavioral psychology till the end of his life. He died at his home in Massachusetts in 1990 due to leukemia. Although his work is controversial, it is still widely acknowledged and acclaimed. The B.F. Skinner foundation propagates his ideas and is headed by his elder daughter Julie.